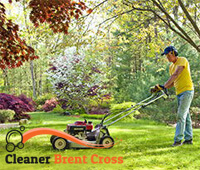 Are you willing to make some improvements to your garden in Brent Cross? How about you hire our gardeners? We will save you some time and problems by doing the job for you. Whether you want to maintain your lawn, landscape your outdoor area, clear dead leaves or anything else, we understand your individual needs and do our best to meet them. Our service is not limited in time, it is affordable and effective. We offer lots of options. Just get in touch with us and get to know more about our company. We will be happy to provide more information. Dial our contact number today. 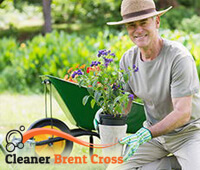 If your garden needs nothing but qualified gardeners, don’t miss out on the chance to hire our company in Brent Cross. Our staff us educated, qualified and experienced in garden care. A few gardeners will come to your home to take a look at your garden and discuss all the issues with you as in whether you need lawn mowing or any other service and how often you need us. We will offer a price estimate and after you confirm it, we can get things going. We will visit your place to do all the garden jobs you have assigned. Moreover, we will come with our gardening tools, which are beyond compare. We use effective and modern techniques for cutting grass, trimming hedges and bushes, pruning trees and landscaping. We can remove weeds, clear leaves and dead branches, water, fertilise and reseed your lawn, etc. You can set your appointment up for any day and time as long as you give us a ring. Our appointment slots are convenient for our customers. We want to work around your schedule and not the other way round. Give us a call and we’ll give you a free and detailed estimate for the tasks you want done. Copyright © 2015-2019 Cleaners Brent Cross. All Rights Reserved.